With the third installation of the “Thor” movies, Thor: Ragnarok comes on the heels of the first two films – Thor and Thor: The Dark World respectively. The entire aesthetic in this one is very different from the others, but different in the best way. Personally, I feel that Thor: Ragnarok was the most well-made and enjoyable out of all the “Thor” movies. 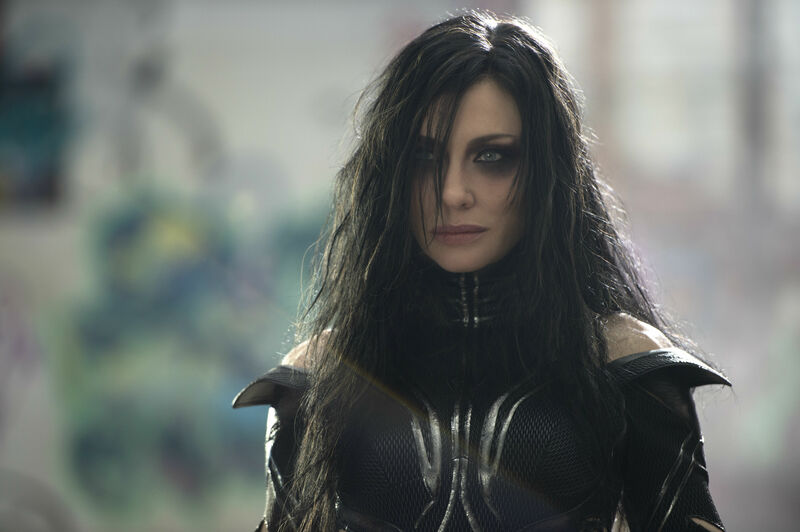 Returning actors, Chris Hemsworth as Thor and Tom Hiddleston as Loki, join the newcomers to Marvel: Cate Blanchett as Hela, Tessa Thompson as Valkryie, and Jeff Goldblum as the Grandmaster. Director Taika Waititi also plays a more minor character, Korg. If my estimations are correct, the movie spans a little less than a week’s time, and boy, oh boy does a lot happen! Between realizing that the brother he thought was dead, is actually alive (surprise! ), all the way to getting his hair chopped off, Thor has had a pretty rough week. Not to mention that he apparently has an older sister who wants to take over Asgard??? Firstborn of Odin, who their father did not find relevant to mention, until literally seconds before he died. Conflict avoidance much?! Instead of guiding his sons on how to deal with their psychotic sis – which is saying a lot, considering Loki, Odin decides to check out and hightail it to the afterlife. Thor and Loki are then left to deal with the repercussions of their older sibling being the goddess of death – something that is not an exaggeration in the least. She literally adores dying and war and bloodshed. In fact, with one of the Asgardians working in the palace – Skurge, Hela thinks that it is actually an honor for her to offer him the job to be the executioner. On another note, I was glad to see in this movie that Thor did not fall for Loki’s tricks again. Being someone who almost always believes-the-best in other people, for a long time, Thor seemed surprised by Loki betraying him. In Ragnarok, then, I was glad that he realized that Loki could change, yes, but might not and he should be prepared if that were the case. I also appreciated the history that was revealed in this film. As the viewers, we get to learn more about the royal family – hello Hela – and that Odin used to be pretty ruthless as a king and conqueror. In addition, we are exposed to one of the elite warriors in Asgard – a Valkryie. With Loki’s powers, a scene from one of the Valkryie battles is shown and the reason behind the last Valkryie being so reluctant to return to Asgard starts to take on a more definite shape. SO GOOD. I absolutely loved all the funny moments, quirks, and hilarious quips. From Thor’s interior design remarks, to the entirety of the fighting scene with Hulk, all the way to the little moments like Mjolnir pretty much wrecking Doctor Strange’s house, fireworks shooting out of the aircraft during the chase on Sakaar, and Korg’s silly statements, there was some great and clean humor. Further, there were definitely some moments where I was like ohmyword WHAT just happened?! Exhibit A – Hela destroying Mjolnir as if it were made of glass (as Loki so poetically put it)early in the film. Yep, basically in the span of less than ten minutes, Thor has lost both his father and his prized possession, while also learning that he has an older sister who apparently wants to take over Asgard. Exhibit B – While Thor is fighting the Hulk, the green guy just starts smashing him into the ground and during this incidence…his eyes start to turn a blinding white. Cue lightening, flying, and all around awesomeness. On another note, I could be wrong, but I sense a future romance between Thor and the Valkryie being hinted at? Anyone else? Anyway, overall I loved Thor: Ragnarok and thought it led to a great set-up for Avengers: Infinity War, along with the amazing humor and fun, new characters that were introduced. What did y’all think of this third film? Like it, love it? Favorite parts? Let me know in the comments below!